Pioneers in the industry, we offer bi metal temperature gauge, mercury filled temperature gauge and temperature gauges from India. 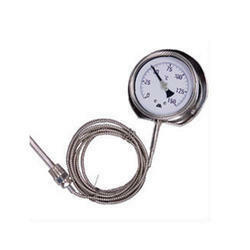 Enriched by our vast industrial experience in this business, we are involved in offering an enormous quality range of BI Metal Temperature Gauge. Owing to our in-depth knowledge of this domain, we are specialized in providing Mercury Filled Temperature Gauge. We have marked a distinct position in the market by providing a high quality range of Temperature Gauges. 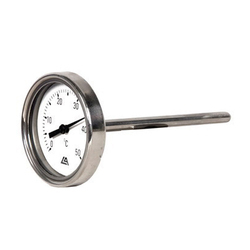 Our given temperature gauge is developed from the premium quality material in compliance with the set norms. This temperature gauge is high in demand among our customers spanning across the globe due to its remarkable quality. We provide this temperature gauge to customers at nominal rates in a committed time frame.